Rich East Garden is a freehold condominium located along Upper East Coast Road, a popular residential district in Singapore. Amenities like supermarkets, cafes, restaurants, food centres and shops can be found at the nearby Bedok housing estate or near Siglap Centre. Rich East Garden is accessible via East Coast Parkway (ECP) and Pan Island Expressway (PIE). 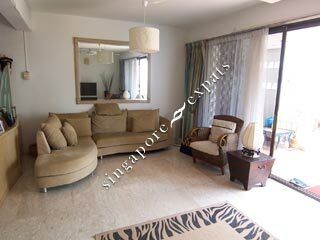 It is about 5 minutes drive away from the Changi International Airport and 15 minutes to the Central Business District. The Tanah Merah MRT station is only a couple of bus stops away. Spacious and quiet space; suitable for large families or families with pets. Awesome place for families with kids of any age. Quiet and peaceful. Swimming pool in front of a few units are an added bonus. Cannot hear any noise from the main road once inside. Green and clean condo. Large spacious units, pet friendly. Affordable asking price,value for money.